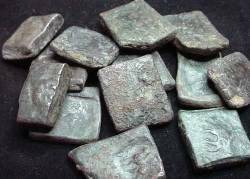 India Punjab Kuninda Amoghabuti late 2nd century BC AR Drachm M-440/45 S! India The Deccan The Abhiras 248-414 AD AR drachm Yr 1 M-620 S! Northern Pakistan Taxila AE 1/4 Karshapana 2nd century BC R! 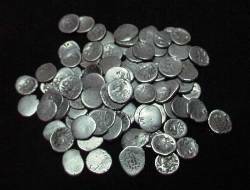 Western Satraps family of Swami Rudrascam 348-390 AD AR Drachm Brockage M-2814/21 S!